Remember in the movie when the Ancient One told Stephen Strange that he was a man looking at the world through a keyhole and he was trying to widen it? She eventually told him that he needed to open his eye and see that there are multiple realms that the universe has to offer. There are multiple universes, including Asgard and the Dark Dimension where Dormammu resides. Yes, “Dormammu, I’ve come to bargain,” and all that jazz. Well, for most people going through difficulties with mental illness and other physical problems, they need to see that there’s more to the world than reality. Remember The Matrix? Morpheus asked Neo, “What is real?” when he brought him to The Construct program, after pulling him out of the Matrix, the dream program that was controlled by the machines. Matrix is a very philosophical movie, if you’ve ever seen it. Neo is constantly thwarted with questions of philosophers for the past thousands of years, such as “what is reality”, and the classic saying, “know thyself.” It is a very cool sci fi flick from towards the end of the 20th century, from around 1999 or so, and it looked almost as futuristic as Ridley Scott’s Blade Runner, which was made in the 80s, if you can imagine. Well, Doctor Strange does the same thing. It questions reality and science, as well as medicine, going beyond our physical three dimensional realm, and opening our eyes to new realities being shaped by sorcerers. 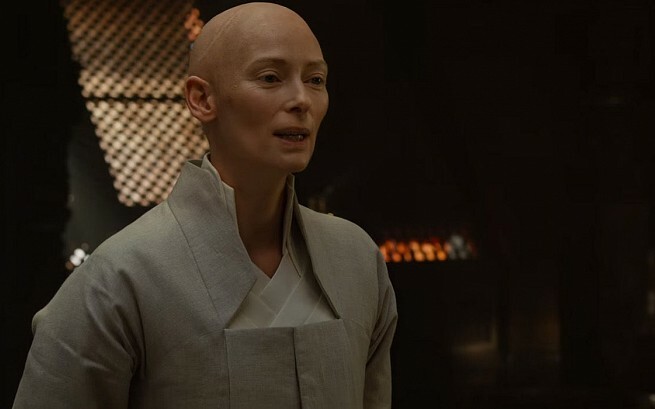 The Ancient One mentions healing through the power of belief more than once in the movie. She shows Doctor Strange that he has no excuse to be a failure at the mystic arts because of his frail, unsteady hands, since they were crushed in a crippling accident. She introduces him to a master of the arts, who has nearly the same disability- he has no left hand. and with just his right hand and his bare disabled arm, he conjures some magic right in front of him. “You can’t beat a river into submission. You have to surrender to its current,” she tells him afterward, before conjuring a portal and abandoning Doctor Strange on the top of Mount Everest. But it’s ok, she only left him there in the freezing cold to teach him something, as well as teaching him to use the sling ring to open a portal. That said, how can you apply this to your daily life? You can’t beat yourself up for having a mental illness and you’re not allowed to get angry and depressed all the time. You need to surrender. Christine, the love interest (Rachel McAdams, who was Irene Adler to another Sherlock Holmes- Robert Downey, Jr. in the Guy Ritchie movies), tells Stephen even before he goes to Nepal that he’s going through a manic phase by spending money he doesn’t have on surgeries. If you looked at his apartment before the accident and after, his apartment is even more empty than it was before because Strange sold everything he owned, including his sports car, furniture, clothes, and watches (except the one Christine gave him) to pay for all seven expensive surgeries. Even the love interest was trying to tell him to fix his perspective on his disability. Strange used to be arrogant, headstrong, cocky, and a perfect know-it-all from music to neurology, but he was blind in the matters of thought, love, and spirituality. Then when he arrived in Kathmandu, Nepal and met the masters of the mystic arts, he studied and practiced everything they taught him as if he was back in medical school. Without even knowing it, he quickly became a master of the mystic arts, not just with his photographic memory. Mordo said he was born to be a sorcerer after winning his first battle with Kaecilius and the Zealots, from the moment Strange put on the Cloak of Levitation. 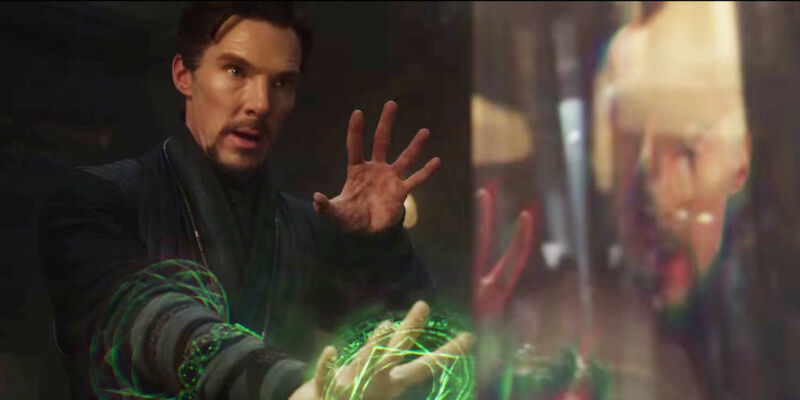 Doctor Strange didn’t want to be a superhero, he just wanted to gain back the use of his steady hands again so he could cure diseases and save lives. What he didn’t know was as a master of the mystic arts, he could still save lives from deadly threats. Tony Stark said in Age of Ultron that the Battle of New York was the big show, the endgame. And he asked, what do we do if some alien life out there tries to destroy the Earth like Loki and the Chitauri tried to do? Recall that? 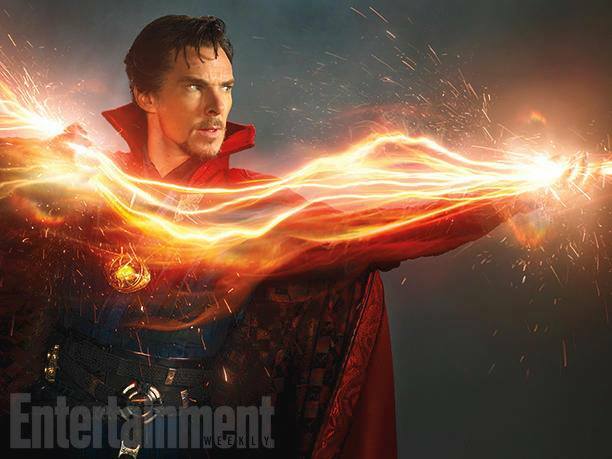 That said, wouldn’t Doctor Strange be a necessary asset to destroy Thanos in the Infinity War? We need a guy like Strange to defeat those creatures from the Dark Dimension and other worlds from distant universes in order to save the planet. He did banish Dormammu from Earth after he bargained with him, after all. Do me a favor: if all of what I said in these last two posts is too much for you, or you don’t understand any of this, go rent the movie from Redbox. You’ll thank me. I won’t give any more spoilers here, in case you haven’t seen it. To those of you who have seen Doctor Strange, I hope you look at this movie again with a little more heart and enjoy it from this viewpoint as I did. If I were to introduce this movie at a lecture about mental illness, spirituality, and suicide prevention, I’ll bet I could be a hit with everyone there. Other than that, I’m going to have to admit it: This is my favorite Marvel movie of all time, and Doctor Strange is my favorite Avenger, other than the leader Captain America. Benedict Cumberbatch, you have won my heart forever. Happy 30th birthday to my dear friend and nerd movie colleague, Ryan Permison. This entry was posted in Authors, Blog, DVD Reviews, Fiction, Inspiration, Literature, Mental Health, Movie Reviews, NaNoWriMo, Nerd, Reading, Science Fiction, Writing, Writing Therapy and tagged Doctor Strange Bengies Drive In, Doctor Strange Nerd Queen reviews, doctor strange thor ragnarok, holistic approach to doctor strange, Lady in the Blue Box, mindfulness of doctor strange, National Novel Writing Month, nerd queen reviews doctor strange, Rachel Ahrens on NaNoWriMo, Rachel Beth Ahrens, rachel beth ahrens fiction and more, rachel beth errands, rachelbethahrens, The Nerd Queen. Bookmark the permalink.